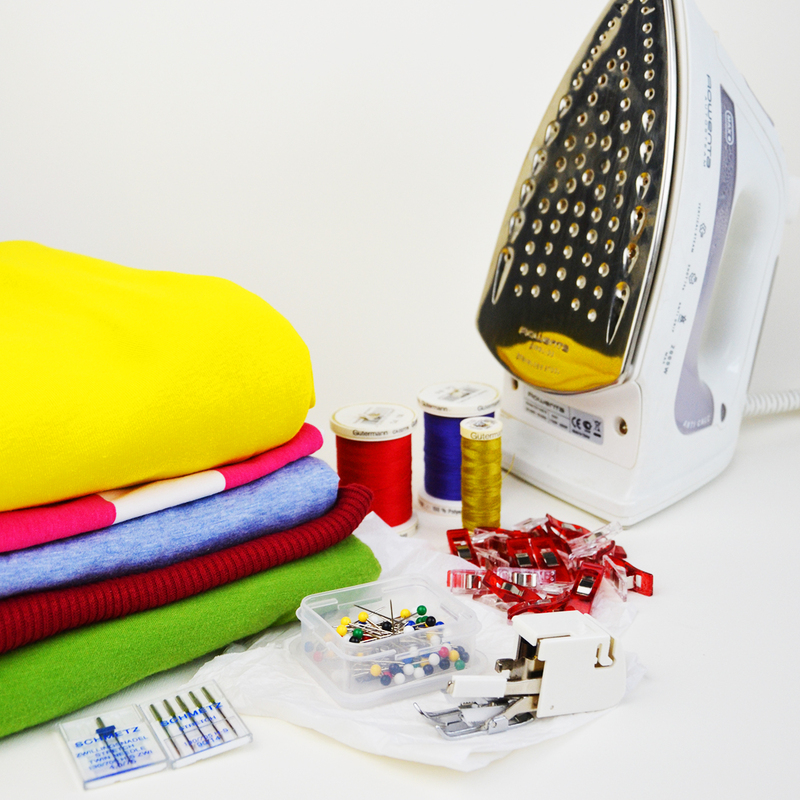 Summer’s over and it’s back to school time, which means it’s also back to sewing school time! 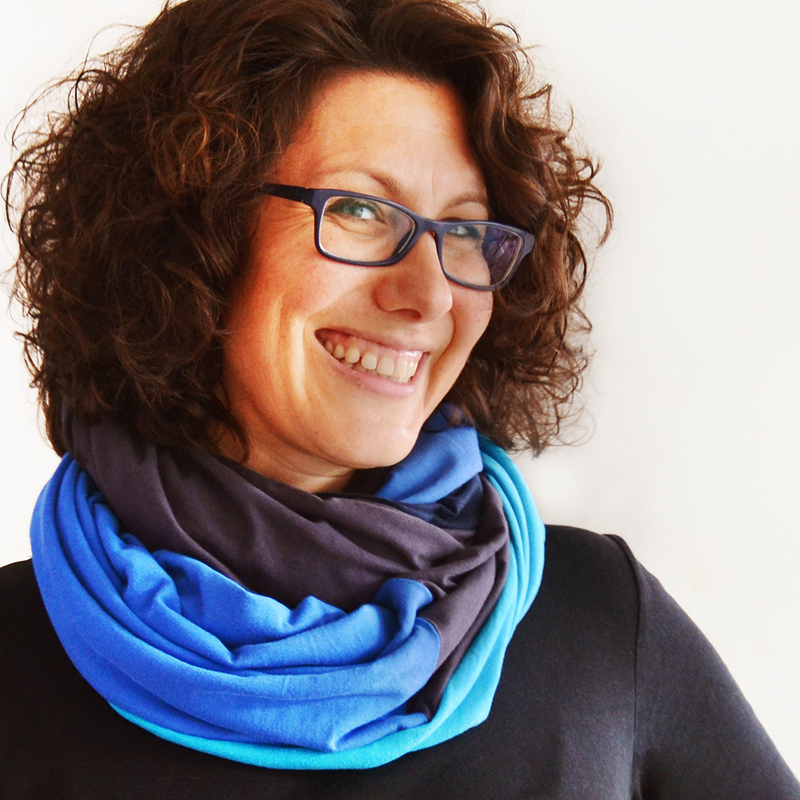 (Did you know that I have a FREE beginner’s sewing course?) 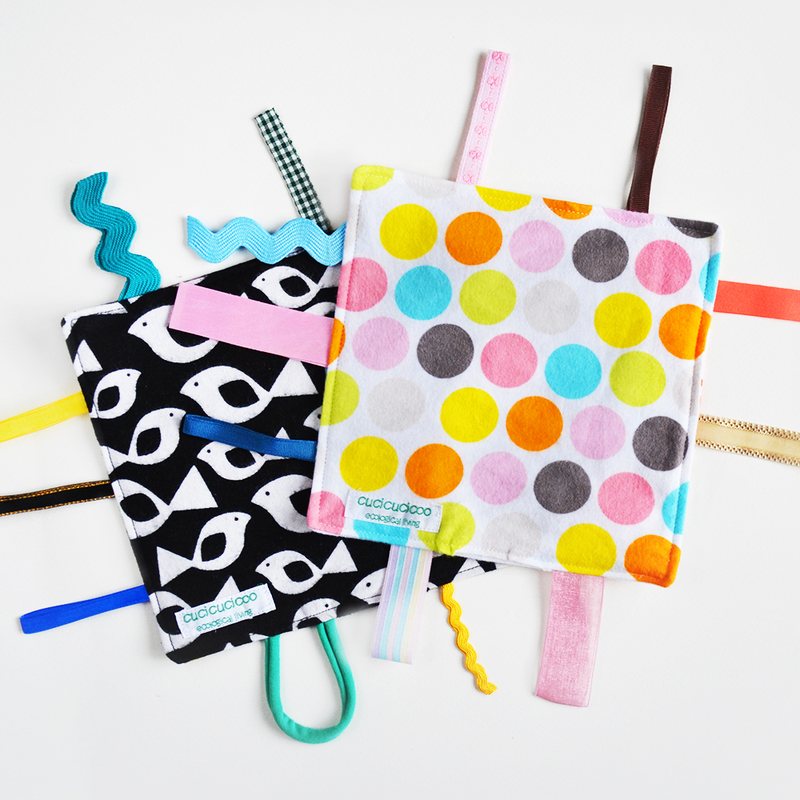 Last week I mentioned that I have a new free pattern for a pencil-shaped pencil case to share with you (update: here’s the info on the pencil case pattern! 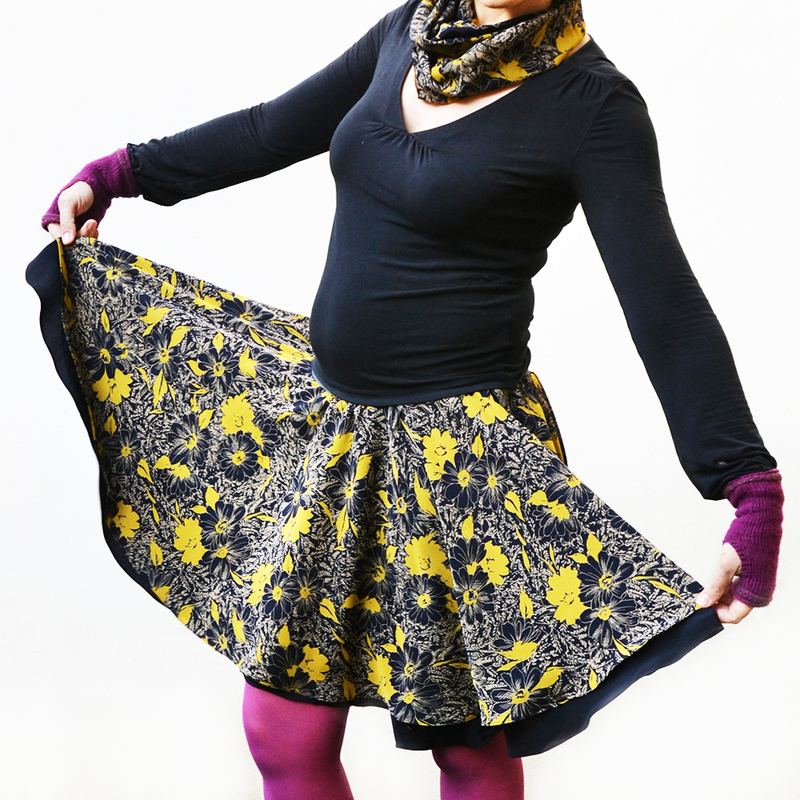 ), but first I want to explain an important technique that you need to know to sew it. 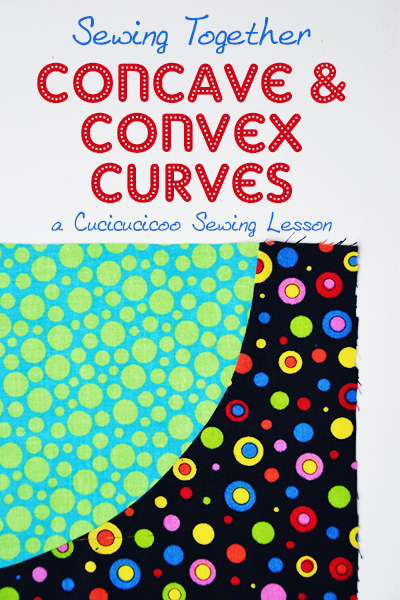 I’m talking about sewing concave and convex curves. 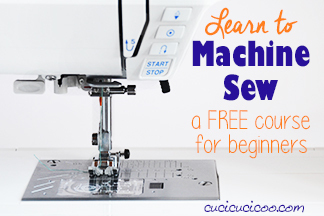 Don’t confuse this with simply sewing curved seams, which I explained how to do in this other Learn to Machine Sew lesson on turning and topstitching. What I’m talking about now is piecing together different shaped curves to create one flat piece of fabric. 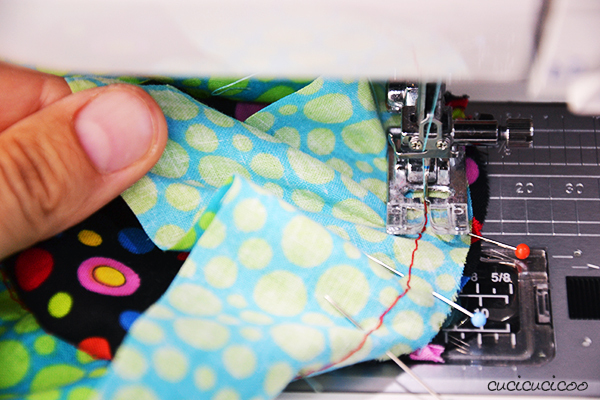 This technique is often used in garment sewing (such as attaching the arms to the armscye or creating princess seams) and in patchwork, but is seen in many other sort of projects, too. 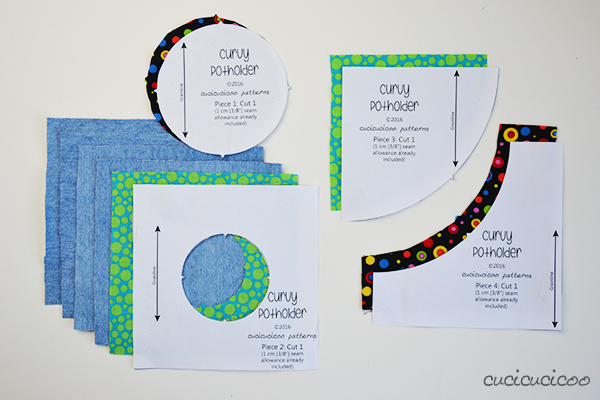 I will show you how to sew a circle enclosed inside another shape, as seen to the left above, and a convex curve (curving outward) to a concave curve (curving inward), seen to the right. A good example of this second style is my Hands Free Asymmetrical Bag. 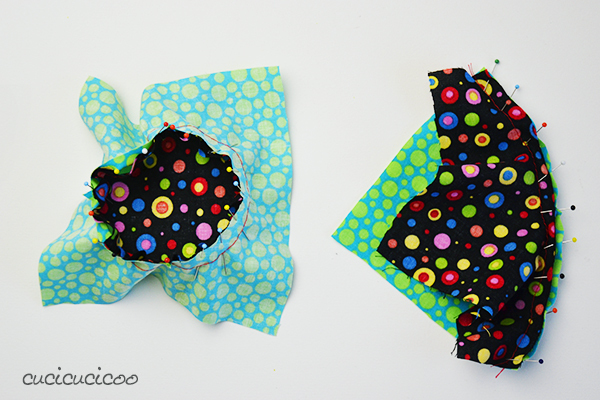 And because I hate wasting practice pieces, you can then sew these pieces together for a funky patchwork-style potholder. It can be a little tricky to figure out the exact shapes for this type of piecing, so I’ve created a free pattern for you to print out and get working on right away! Want to get started? 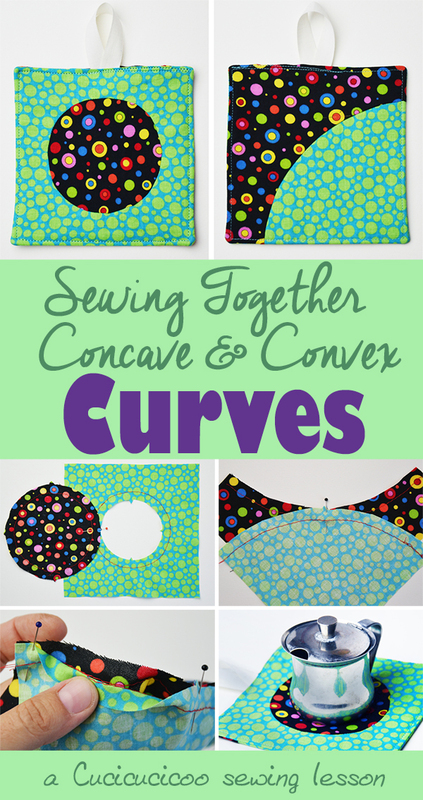 Keep on reading to find out how to sew different shaped curves together! 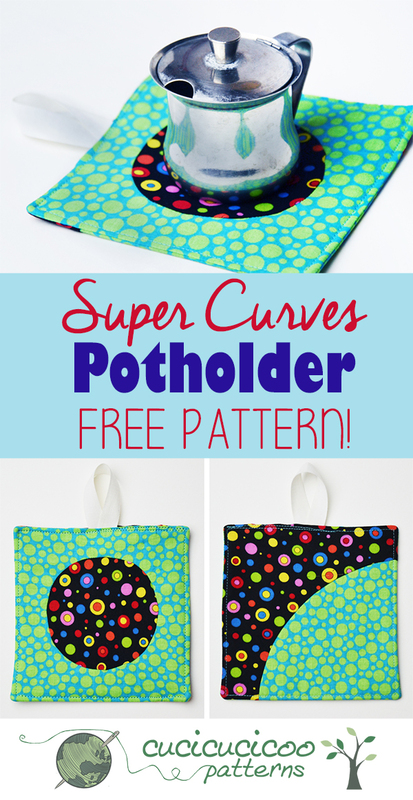 First, download the free Curvy Potholder pattern from my free downloads page. 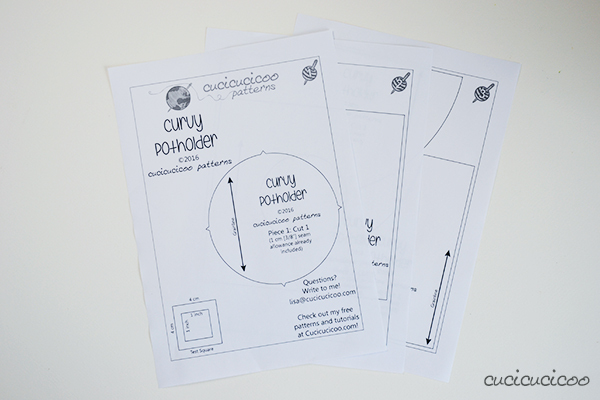 Print it out with no scaling (read this post for more information on printing PDF patterns) and cut out the pieces. Notice that each pattern piece has at least one triangular notch on an edge. 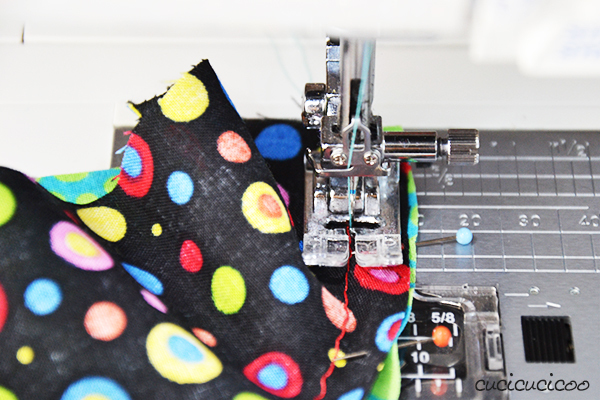 It is very important to cut the notches out on both the pattern pieces and the fabric. If you accidentally cut a notch off (it can happen), make a visible marking on the edge of the pattern or the fabric where the notch should’ve been. Cut each piece out of woven fabric. I used a regular cotton quilting. 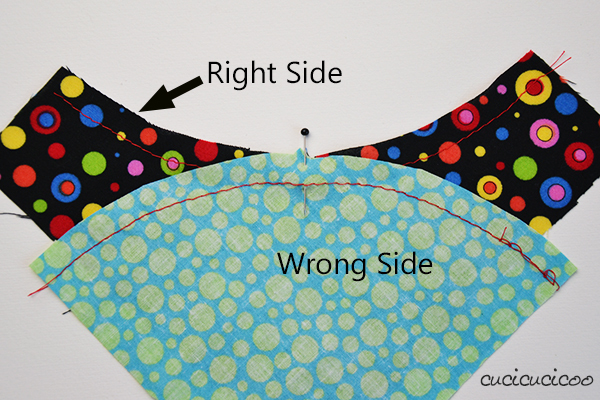 This type of piecing is harder with more heavyweight fabric, so avoid those. 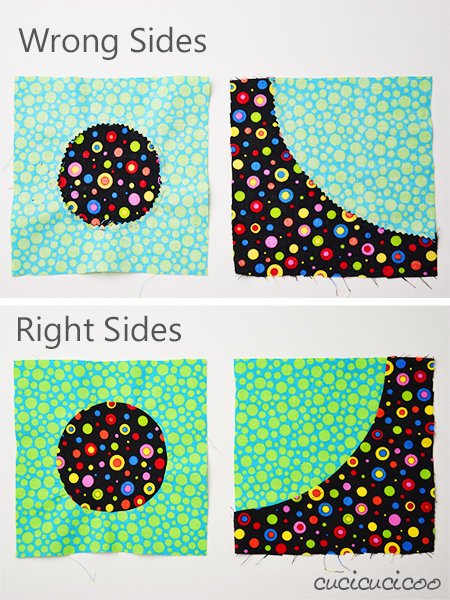 Use contrasting fabrics for Pieces 1 and 2, and for Pieces 3 and 4. 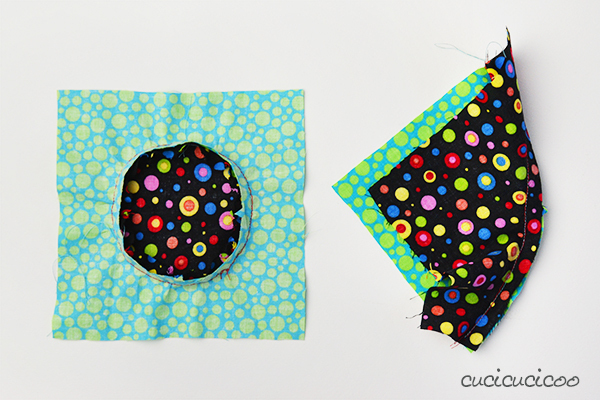 If you plan to make a potholder, cut two more pieces of Piece 2 from a thicker fabric, but without cutting the hole in the center. I used old jeans, but you can use any thick fabric from natural fibers, NOT synthetic ones that will melt with the heat. And yes, I know that there are four of those squares in the picture above. Pretend there are just two! Sew along the edges with the notches with a 1 cm (3/8″) seam allowance and a basting stitch (the longest stitch on your sewing machine). Use a contrasting thread color so you can see it easily and do NOT backstitch or staystitch so it will be easier to pull these stitches out afterwards. 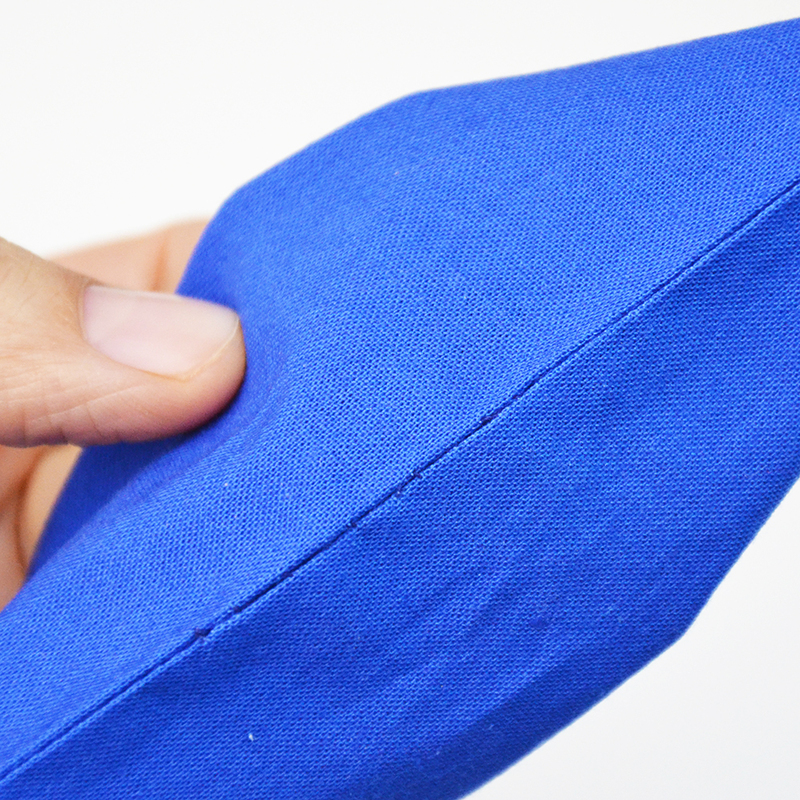 This is the trick to successfully sewing this type of curved edges together. Because the curves are not the same, the edges are different lengths. However, if you consider the seam allowances (1 cm, or 3/8″, in this case), the lengths are the same. So we will be matching up the seam allowances, NOT the fabric edges. 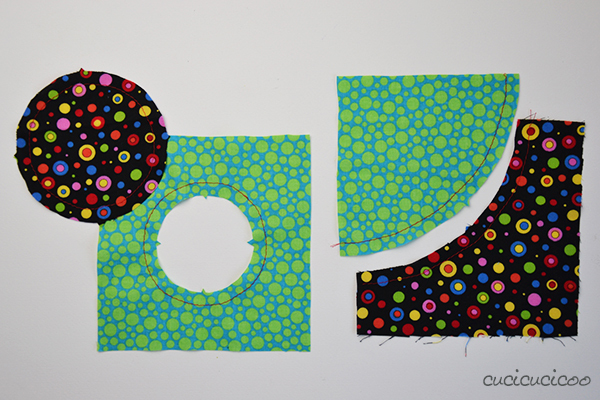 Let’s start with Pieces 3 and 4, the quarter circle curves, which are easier to sew than the circle. Match up the central notches with the right sides facing and pin at the notch. You will notice that the basting matches up at that point. It does not look right, I know, but just trust me, everything will fit together. Now match up the two ends of the curved edges and pin them together. The fabric will fold and buckle, but don’t worry about it. Starting at one pin, match up the two basting stitches bit by bit, as seen above, and pin in place. 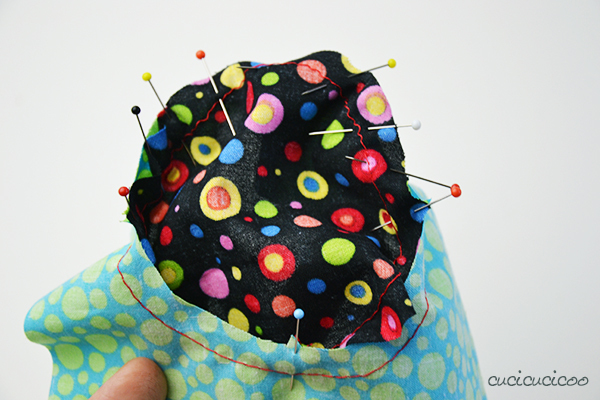 The fabric will bunch up, so take your time and ease it into place one pin at a time until you reach the center pin. 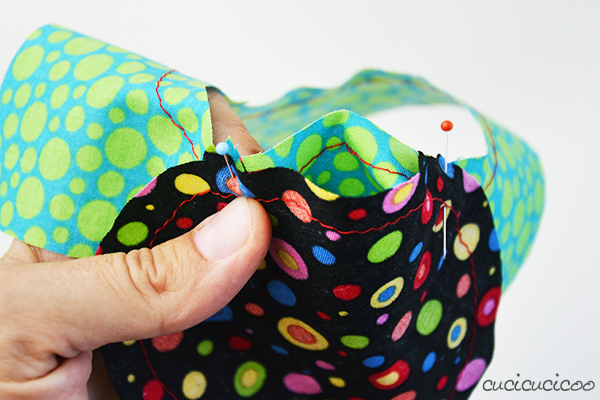 After you’ve matched up the two pieces of fabric between the first two pins, work your way along to the third pin. Some people like to make little cuts in the seam allowances to help ease the fabric. I personally find it harder to sew it with those cuts, so I never do, but try it if you have trouble getting the basting stitching to fit together. This is what the pinned curves look like. Now let’s pin the other two pieces. Matching up the circle pieces (Pieces 1 and 2) is slightly more complicated because the curve is tighter and longer. However it’s pretty much the same thing as with the regular curve. Match up one notch on each piece with the fabrics right sides facing, like you can see above, and pin it in place. The circle does NOT go over the hole, so it will look wrong, but just believe me… it’s right! 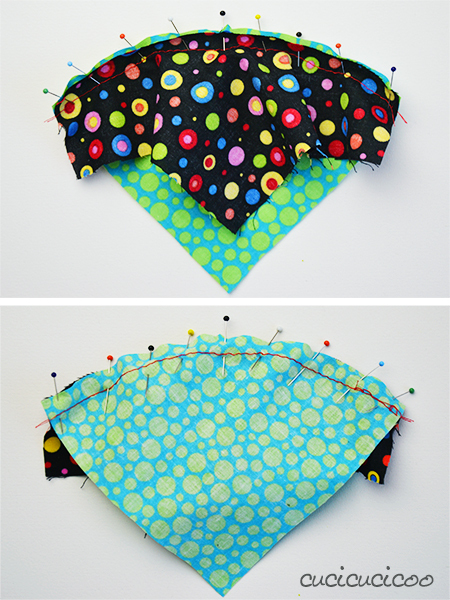 Maneuver the fabric so that you can match up the next notches over, and pin those too. As with the curved pieces, the fabric pieces will fold and buckle. Ease the fabric into place bit by bit like you did with the curved pieces, making sure that the basting stitches line up, pinning the fabric as you move from the first notches to the second ones. Now match up the next set of notches, and work your way along the curves, matching up the basting stitches and pinning into place. 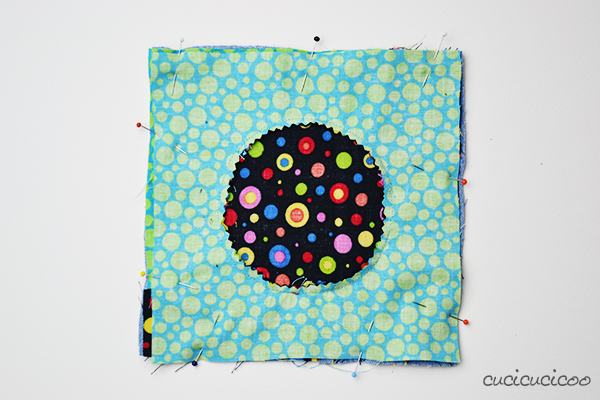 At this point you will have pinned half of the circle and the fabric will be pulled all out of shape. Pin the last set of notches together. You might want to turn the pieces the other way around (as seen above) at this point to more easily maneuver the fabric, but it’s up to you. 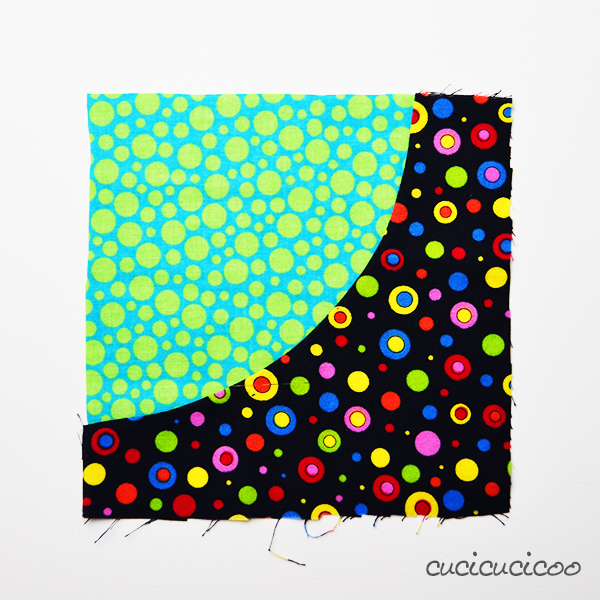 Continue pinning between the remaining pinned notches. This is what the pinned pieces look like in the end. Very wonky, but this is how they should be! 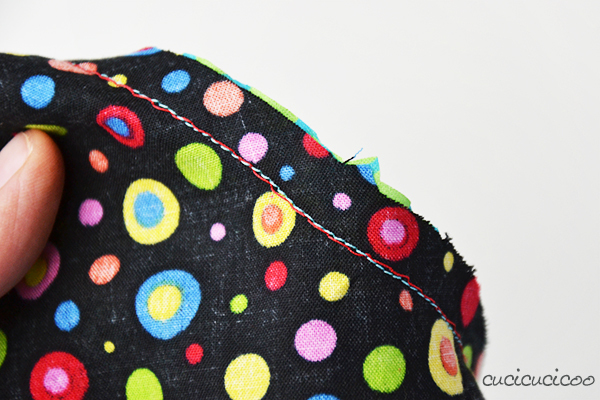 When sewing the regular curve (Pieces 3 & 4), start at one end and sew slowly with a 1 cm (3/8″) seam allowance. Use a regular stitch length, not the longer basting stitch, and remember to backstitch at the beginning and end. 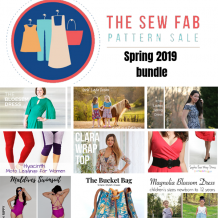 Some people prefer to keep the more bunched piece of fabric at the bottom, but other people prefer to keep it on top so that they can adjust the fabric more easily to avoid sewing creases into it. I generally prefer this second method, but experiment to see which you prefer. 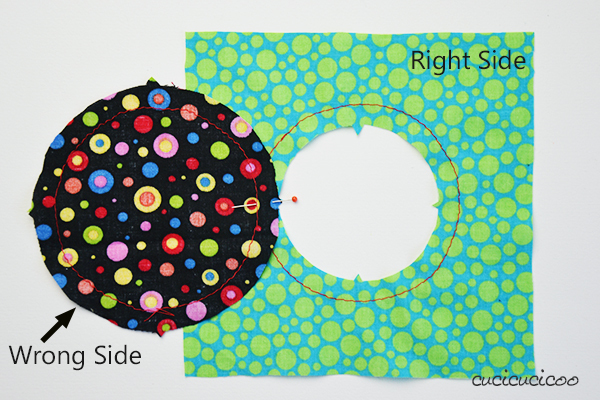 When sewing the circle pieces (Pieces 1 & 2), just start at any point along the circle and sew all around, remembering to backstitch at the end. Because this is a tighter curve, the fabric can bunch up very easily, so adjust the fabric constantly, gently pulling it off to the side, as you can see above. After sewing these curves slowly and carefully, this is what they’ll look like. Because you sewed both the original basting stitches and the permanent stitches with a 1 cm (3/8″) seam allowance, your second set of stitching (the aqua blue thread) will be pretty much on top of the basting (red thread), as you can see above. If you notice any bunched fabric in the permanent stitching, pull out those stitches and five or six on either side of those, adjust the fabric to remove the creases, and sew again. 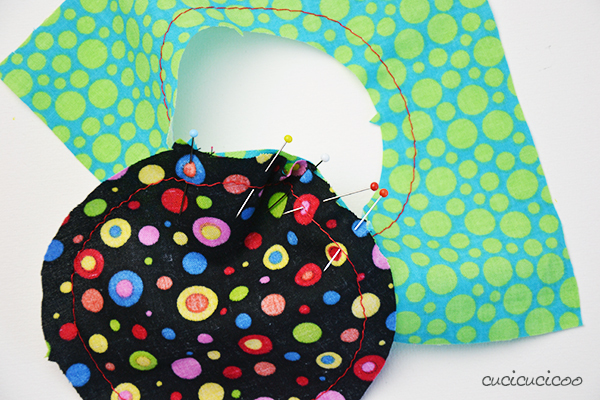 Use a seam ripper to pull out the basting stitches, then trim the seam allowances, clipping and notching the curves. Or, if you’re lazy or trying to finish taking pictures for a tutorial before the sun goes down (like me in this case! ), use pinking shears to trim the seam allowances. 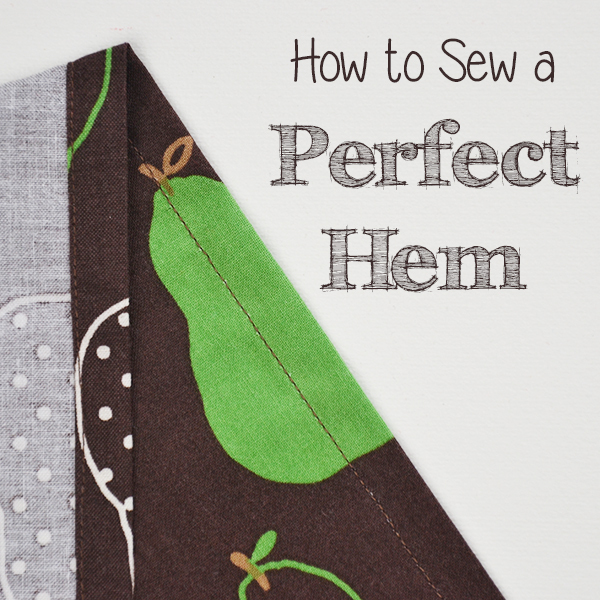 Use a hot steam iron to press the seam allowances flat from the wrong sides of the fabric. Then turn over the pieces and admire your work! Look at those perfectly pieced-together curves! Wasn’t the extra work worth it? 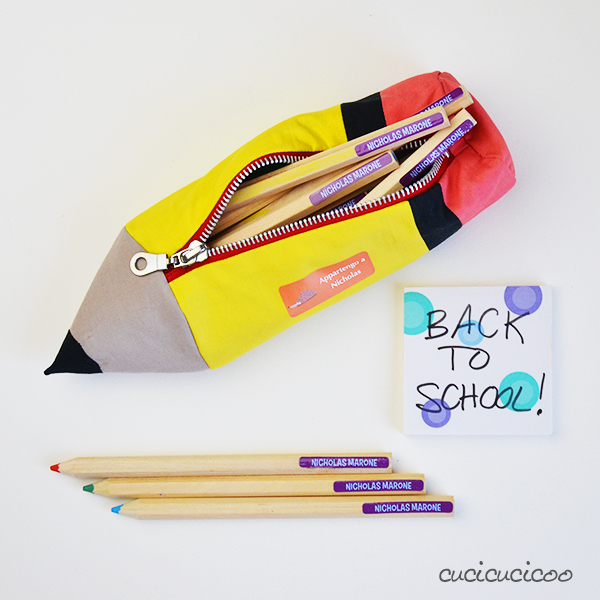 *UPDATE* Here’s the tutorial on the pencil-shaped pencil case! 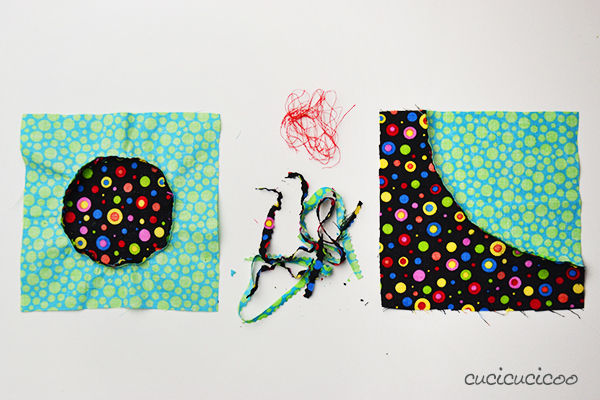 All you have to do is sew the two practice pieces together with the two pieces of jeans or other thick fabric as we did with these other easy potholders. Place the four pieces on top of each other, with the two pieces of jeans on the bottom, one practice piece right side up, and the other practice piece wrong side up. 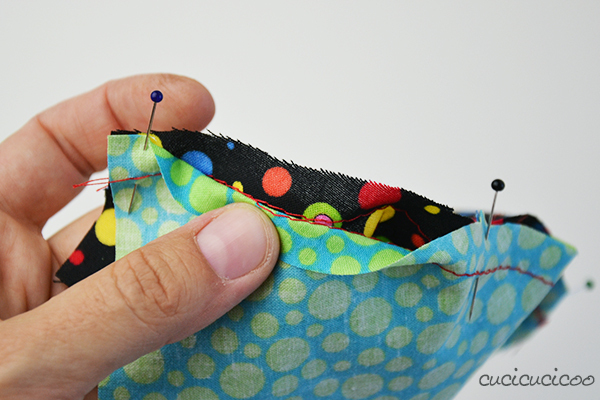 Pin and sew around all the edges with a 1 cm (3/8″) seam allowance, leaving an 8 cm (3″) opening on the center of the top edge. Clip the corners and turn the pieces right side out, poking out the corners. Iron the fabric flat, folding inwards the edges at the opening. If you’d like a hanging loop, cut a 14 cm (5 1/2″)-long piece of ribbon or twill tape, join the ends and stick them inside the opening. 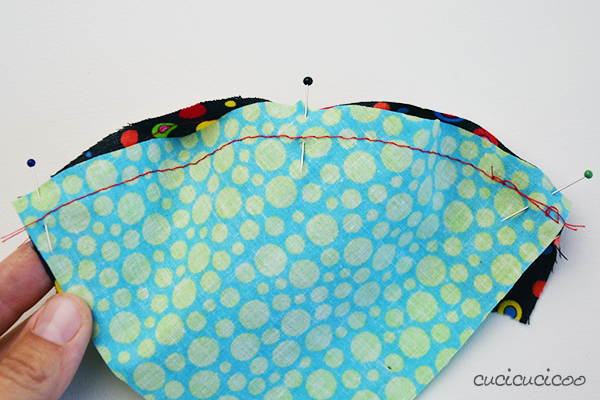 Then sew all around the square close to the edges, closing the opening. Voilà! 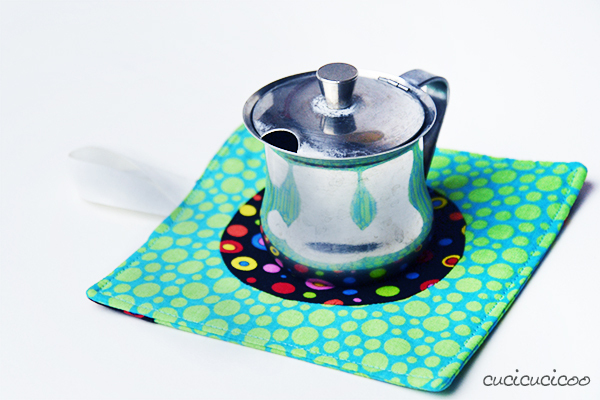 A cute kitchen accessory that you can keep for yourself or give away to a friend! And while making it, you’ve also learned a very useful sewing technique! These sewn curves look so good and professional that, once you learn how to do it properly, you’ll be sewing concave and convex curves on everything! 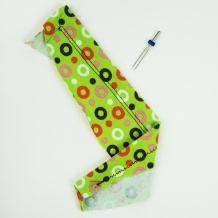 Don’t forget to come back next week for the FREE sewing pattern for the pencil holder! Kids just love them and they make an easy gift, especially when filled with fun drawing and coloring supplies! 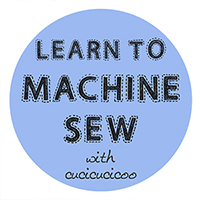 This lesson on sewing together concave and convex curves is part of the syllabus of Cucicucicoo’s Learn to Machine Sew beginner’s sewing course! 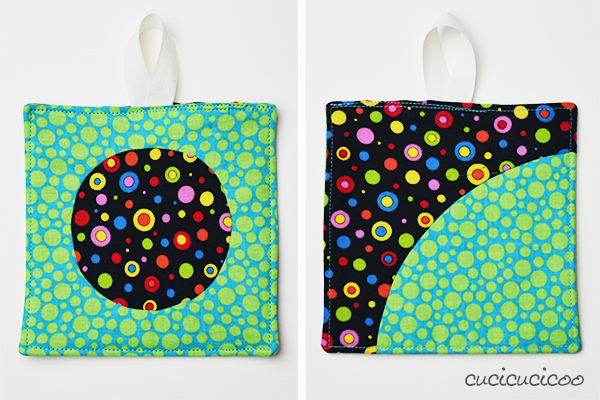 Don’t forget to share pictures of your curved potholders and other work on Facebook or the Cucicucicoo Creations Flickr Group! Previous articleSticker Kid personalized name labels – 10% discount! Stupendo tutorial… con te ho imparato a cucire sicuramente tecniche per me sconosciute! Ho rammendato jeans, ho fatto due shopper-bag dai vecchi ombrelli, 6 presine semplici… farò senza dubbio anche queste presine usando la nuova tecnica! Complimenti e grazie per i tutorial! Yah! I’m so glad that I was able to help, Allison! 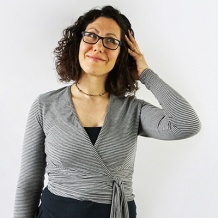 Sei fantastica!!! Con te sembra tutto semplicissimo:) . Farò subito delle prove. 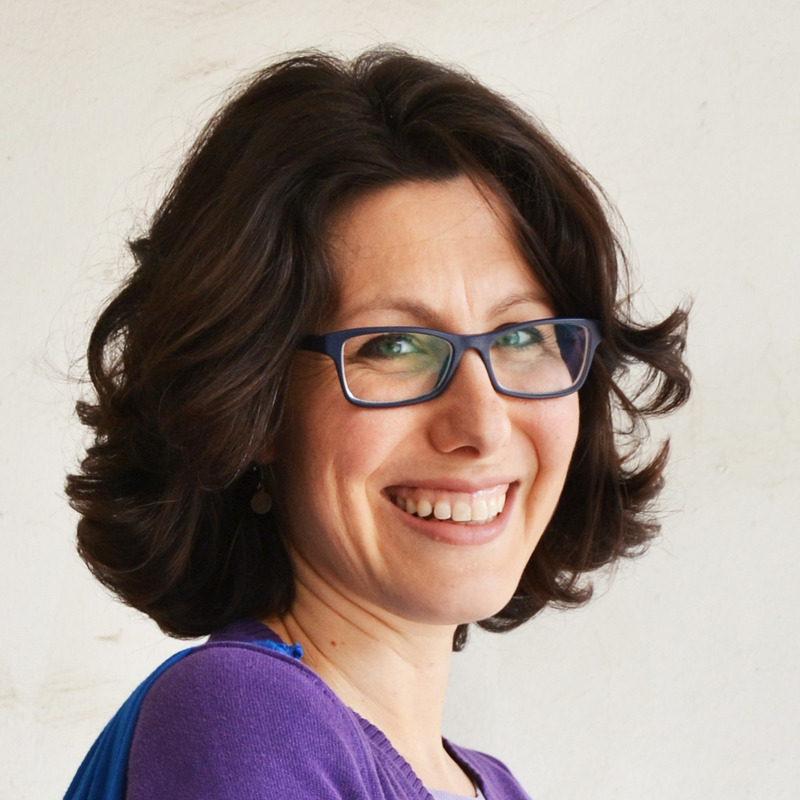 Grazie, Olivia! Diciamo che questa tecnica non è difficile, ma ci vuole pazienza! Fammi sapere come va! Spero che troverai che le altre dritte siano altrettanto utili! Grazie per esserti passata!